The QXCI/SCIO Biofeedback device is an extraordinary tool with the capacity to analyze and balance excesses and deficiencies within the body. The device is able to analyze an extensive range of nutrients, allergens, hormones, pathogens and risks. It is able to then use these acquired energetic values to apply various non-invasive energetic therapies, including hormone balance, NLP, brain wave pattern balance, immune stimulation, allergy desensitization and countless other therapies. The device first takes an individual’s electrical parameters (resistance, amperage and voltage) creating a trivector field from which it is able to measure adrenal function, brain function, immune function, hydration, pH, and the speed at which the body reacts to pathogens. The main test matrix shows responses to over 10,000 items including nutrients, allergens, hormones, bacteria, viruses, risks, toxins and heavy metals. The biofeedback device is able to identify items through “fractals”, or mathematical images, as each item (i.e. nutrient, allergen) has its own mathematical image or structure. Additional scans for nutrition, adrenal function, male/female hormones, toxins, bacteria and allergens give greater clarity to areas of stress. The information gathered significantly aids in the development of an individualized plan to avoid certain items that cause stress to one’s body and to incorporate items and strategies that enrich and support one’s body. Within the first few sessions, clients acquire new information, learn self-help techniques, and receive the structure and support to improve their health and enhance their sense of well-being. 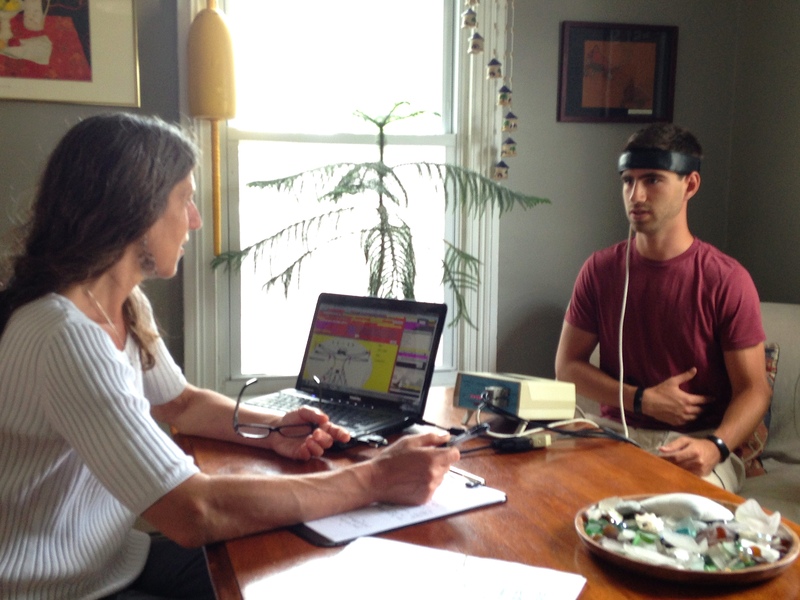 QXCI Biofeedback has shown great benefit to many individuals struggling with health issues. Some of the conditions that have responded well to QXCI sessions include: chronic fatigue, Lyme disease, sleep disturbance, chronic pain, hormonal imbalance, post-cancer care, ADHD, autism spectrum disorders and bipolar disorder. IMPORTANT: QXCI/SCIO Biofeedback is for stress reduction only. The device is NOT for the diagnosis or treatment of disease. See your primary care physician for medical advice. No claims are made of the device or therapies. "Once again I would like to thank you for your time last week. It was an amazing session. It is always nice to get some kind of answer when you think that there may not be one. (or the Drs. can't find out what is wrong.)" "I'm so thankful for you, Faye. Your unending compassion and understanding towards me is astonishing to me. You are an incredible healer!" "I can’t thank you enough for the last session on August 16. It made such a difference!! I was able to go to Long Island... when I got there was in one piece and functioning. I had missed his graduation in June because of terrible hormone issues. Really so happy to be able to go!! Thanks again!!"